Some of the film’s party scenes had close to 300 extras on set–each one outfitted in his or her own unique costume. To give you an idea of just how many costumes that is, Brookes Brothers supplied 1,200 in total. And that’s just on the men’s side. Miuccia Prada helped out on the women’s side, designing 40 background dresses as well as some of Daisy’s (played by Carey Mulligan) costumes. Catherine Martin clad Claire Danes in angel wings for Romeo + Juliet, brought English aristocracy to the outback in Australia, and won two Oscars for her plush-as-a-bordello costumes and sets in Moulin Rouge. 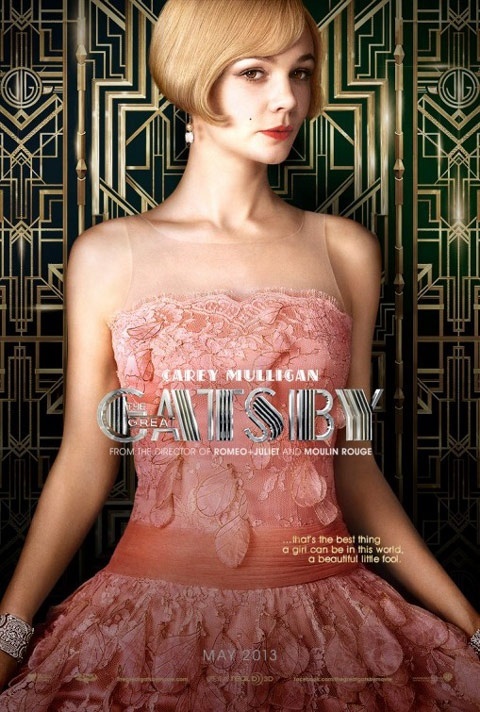 Now costume and production designer Catherine Martin turns her talents towards the roaring ’20s with her favourite collaborator, husband Baz Luhrman, for The Great Gatsby costumes. 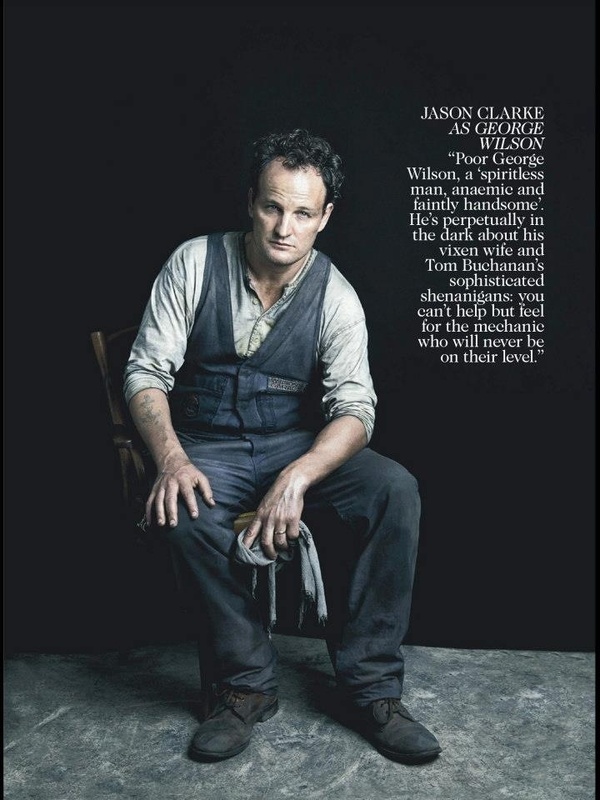 Bringing such a beloved, classic novel to life is no small task. How’d you start? The beginning of the process was a bit of fear and trepidation. I mean Baz is a visualist as a director. So it’s fantastic on the one hand because you get a lot of focus, a lot of resources, in your department–never enough of course–but you get a lot of it. And so you know it’s always a pleasure because you’re not flailing around on your own. People are interested in what you’re doing. But by the same token the bar is always very high. I can imagine. What were the first conversations like between you and Baz, deciding what direction to take? So how does the actual process begin? First of all, Baz always starts with the book, or whatever the source material is. 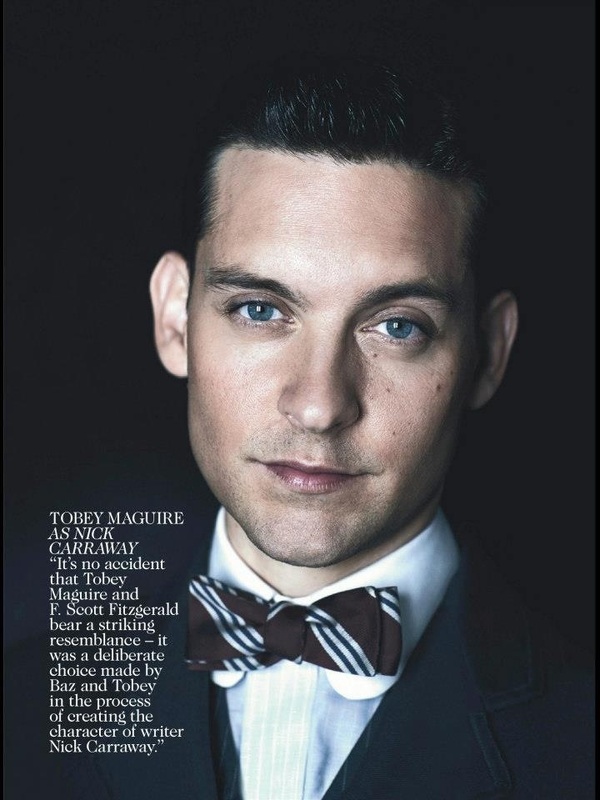 So the first thing is to read the book, and to analyze what people are wearing, what Fitzgerald says they are wearing. And then you go like a detective, and you go to the Met library and you go to FIT and you look in books, and you go to libraries, and you look online, and you look on museum websites and you read as much as you possibly can. And you try and work out what the landscape of the clothes were, and what the references in the book actually mean. 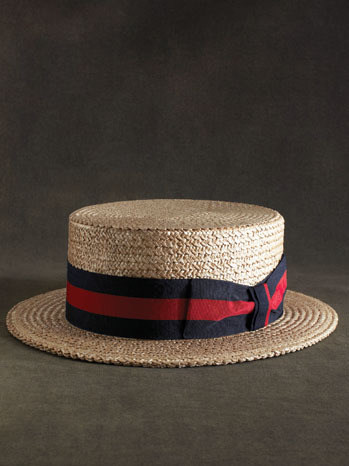 You know like, what’s a tricorn hat? Why is Daisy wearing one? You just start piecing all those references together and getting all the images, so you know what the landscape actually is. How true to the era did you stay? One of the other rules Baz made at the very beginning of the project was that, because the book is set in the summer of ’22, published in ’25, and foreshadows the crash of ’29, we were actually allowed to use the whole decade as a reference base. So that gave us a little bit more scope. But what you realize even by the early ’20s, just about any silhouette–from a bias cut, to a strapless, to a robe de style, had all been invented. One shouldered looks, beading, embroidering, harem pants, feathered skirts, halter necks, v-necks… all kinds of different silhouettes. We think of the ’20s as a shift, a beaded embroidered fringed shift. And in reality the silhouettes were incredibly varied and had all kinds of influences form folkloric to Arabic, Orientalism–every kind of influence that you can possibly imagine, including Egyptian by the time Tutankhamun’s tomb had been opened up. It was much more varied than even I, who knows something about it, even realized. In the costumes for the men, we erred on closer to the beginning of the decade because we went for a much slimmer silhouette. For the women it was later in the decade, when there was much more of a body-conscious silhouette. 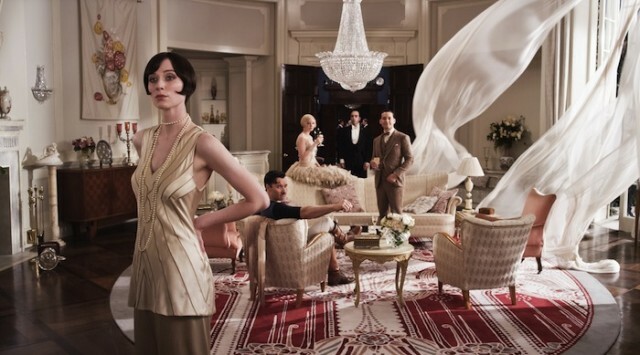 Looking at a historical period through a modern lens is a signature of yours and Luhrmann’s. 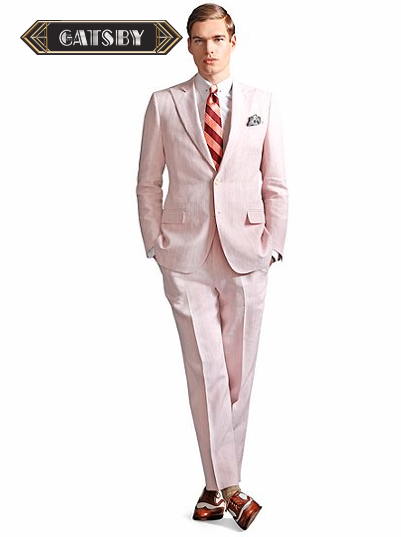 How did you go about modernizing some of the 1920s fashion? One of the things that really interested me was in the ’20s there was a lot of photographic records of the clothes, and for the first time in history there are sketches and then there’s a photo of the actual dress. What I became really interested in was the idealization of the silhouette in the drawing and how they always tended to be leaner and meaner in the drawing than they were in reality. And I became very attracted to being more faithful to the idealized silhouette as opposed to the reality. But I think too, if you watch a movie, I think it was 1927′s Speedy, the clothes are very body conscious, lots of sleeveless dresses. You see by the late ’20s a real consciousness of the body and a changing perspective on how we see ourselves. I think that comes from the fact that people are taking photographs of themselves and they’re seeing what they look like on camera and the ideals of beauty are changing. What is considered beautiful is more petite, slimmer, more tanned. 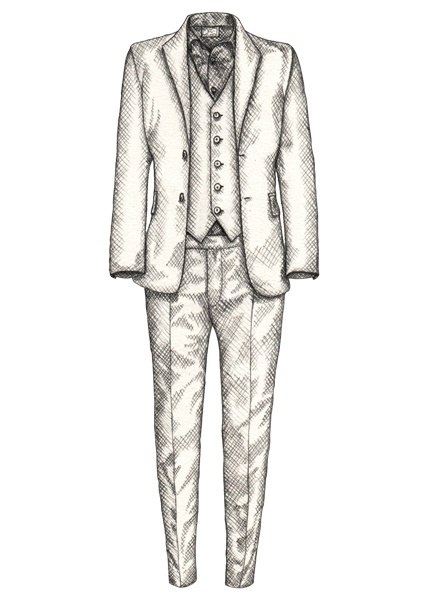 In the production notes, Joel Edgerton, who plays Tom Buchanan, praises you for adding little details–in his case a Skull and Bones lining in his suit, a reference to the character’s Yale days–to help actors get more into character. Are there any other details like that, that you felt were important to add, even if they’re not immediately obvious to the viewer? For Daisy’s clothes I got a vast majority from a fantastic lace company called Solstiss. They’re French and they’ve been around since the late 19th century. They have an enormous archive, they do work for all the big fashion houses–Chanel, Alexander McQueen when he was still alive–you name it. And I think that what was fantastic about having that resource is that I could really get that kinetic–whether it was the floral tassels on the purple dress, or the fluttery skirt made of organza petals on the dress that you first see Daisy in.I always try and make sure that everything an actor has is beautifully made and enjoyable to wear and relatively easy to get on and off. I think the girls were really excited that they were wearing realTiffany’s jewelry. And it was worth millions of dollars. Carey, who’s usually rather sparing and very tasteful in her jewelry choices, was like ‘Oh I just want everything.’ She loved all the jewellery. How did the collaboration with Miuccia Prada come about? Well Baz has been a friend of Miuccia’s for I suppose nearly 20 years, since Romeo + Juliet. 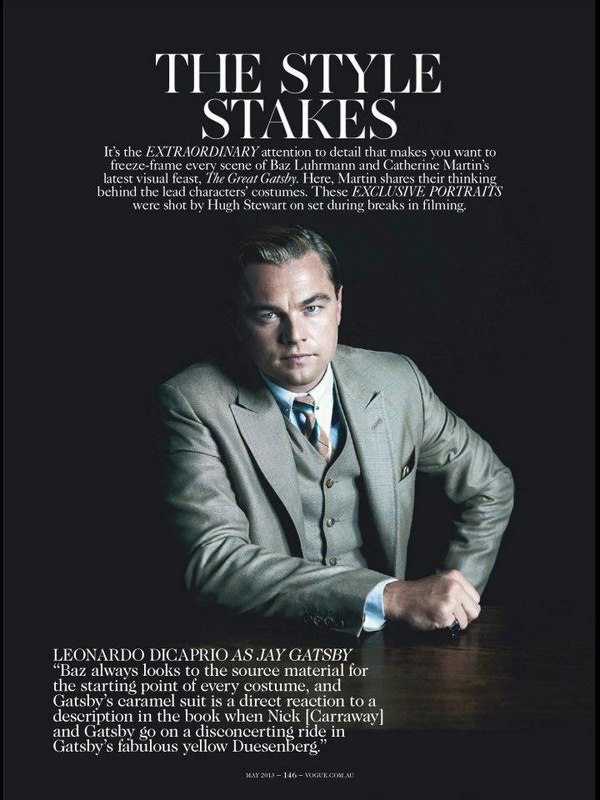 She made a suit for Leo, his wedding suit. And so they’ve had a great friendship and a really challenging, active, artistic and philosophical dialogue. And just having that phrase of Baz’s ‘I don’t want New York to be a boring sepia’ in my head–well the boring part is my imposition on that–but I kept thinking of how both of them, in completely different ways, use the past as an inspiration, but then transmute it into something unexpected and something totally modern. So you approached her, and then how did the collaboration get underway? You know Miuccia is exigent from a philosophical point of view and she asked me ‘Why do you think my anachronistic clothes are going to be right?’ I said ‘Well, look at these clothes from all your past collections and see how they speak to the ’20s. And with these minor tweaks we’ll be able to get, I think it will really speak to the ’20s and I think it will provide that sort of modernity and extraordinariness and visceral excitement that Baz is looking for.’ And she also liked the fact hat Baz asked for each extra to have a character name and a little bio. And so it was about working for a character, not about just doing clothes. So I went back through the archives and I selected [items that I thought could work]. She wound up designing 40 of the background dresses for the party scenes. So, 20 for the ‘glamorous party’ and 20 for the ‘sad and tawdry party,’ which is what we called it. 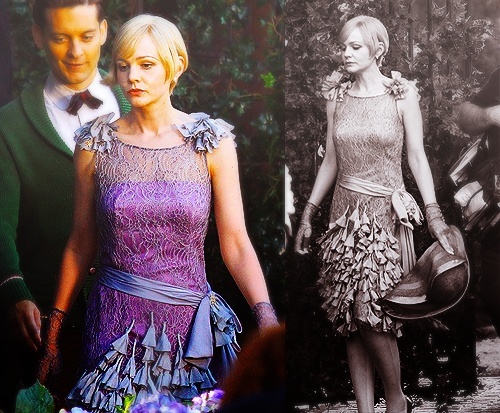 She also made Daisy’s chandelier dress and fur when she goes to one of Gatsby’s parties for the first time. I have to ask: What happens to all the amazing costumes once the film is finished? Well Prada’s all goes back to their archives, but they’re doing an exhibition here in New York and I think it might go to Tokyo as well so that’s great. And then some pieces go to the archives at Warner Brothers–they have an extensive and very serious archive. But meanwhile they haven’t quite finished their work life, poor old darlings. They’re on the road selling the movie. They’re in Brooks Brothers and Harrods and they’re all around. Do you ever feel tempted to just take them home with you? Look, I used to feel like that all the time, until I ended up with warehouses of this sort of stuff, and I realized through long and hard experience the best record of your work, is the work itself. I also looked at readers digest complete guide to sewing. 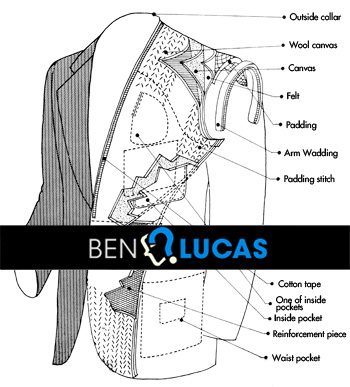 In these books I researched how to construct mens tailored suits. The information I found gave me an insight into the construction. 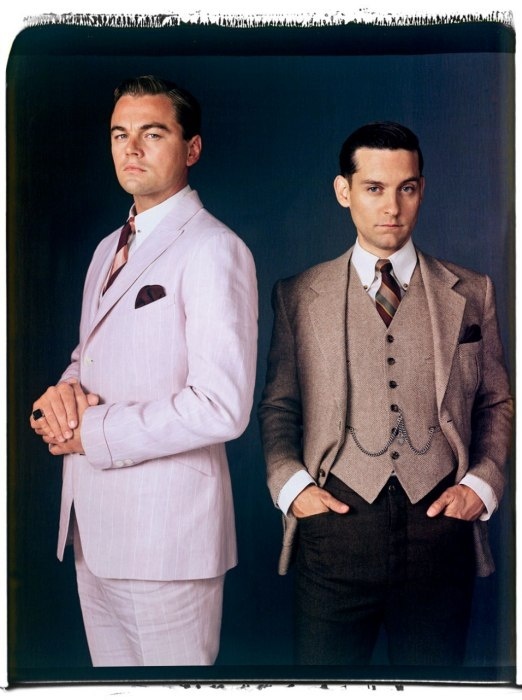 This led me to looking at tailoring in the 1920s and suits in the great gatsby because i think the costumes show this technique well which will help me to improve my discipline by researching into this more. 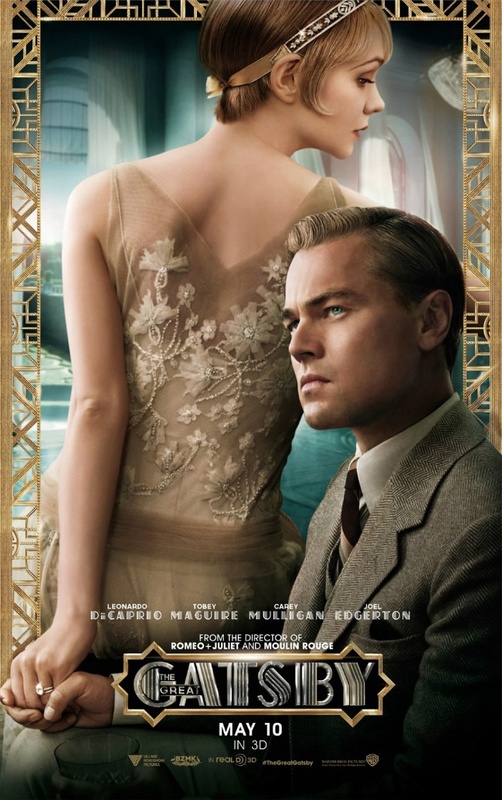 Concentrating mainly on the 2013 film of gatsby, I started by looking at the mens suits in the film and this quickly let me to female costumes from the 1920s and the background behind them. 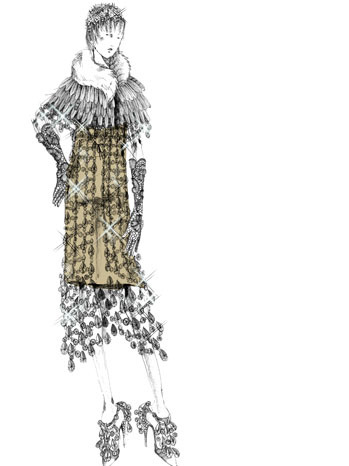 and finally costume in context the 1920s and 1930s by Jennifer ruby. In these books I researched 1920s women wear and this led me to learn that during the 1920s women became more independent especially in the jazz age. 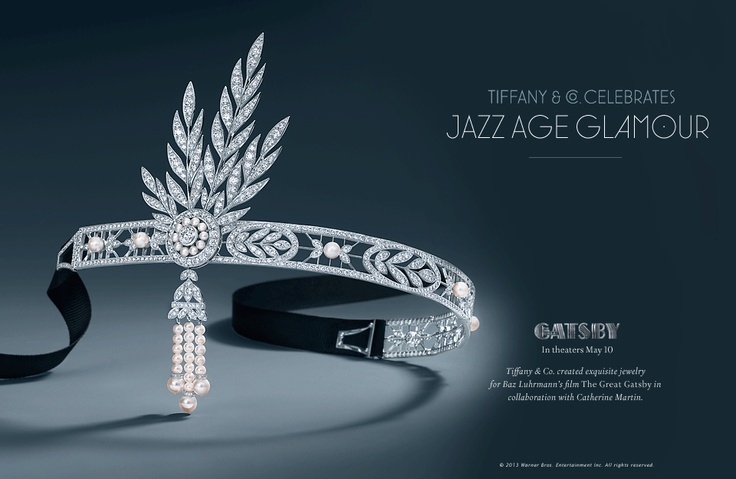 The jazz age is the period just after the first world war ending with the great depression. This period is usually identified with money and gaiety. This extravagance can be seen in the women’s clothing especially. They were keen on lavish dresses with sequins and were extremely detailed. 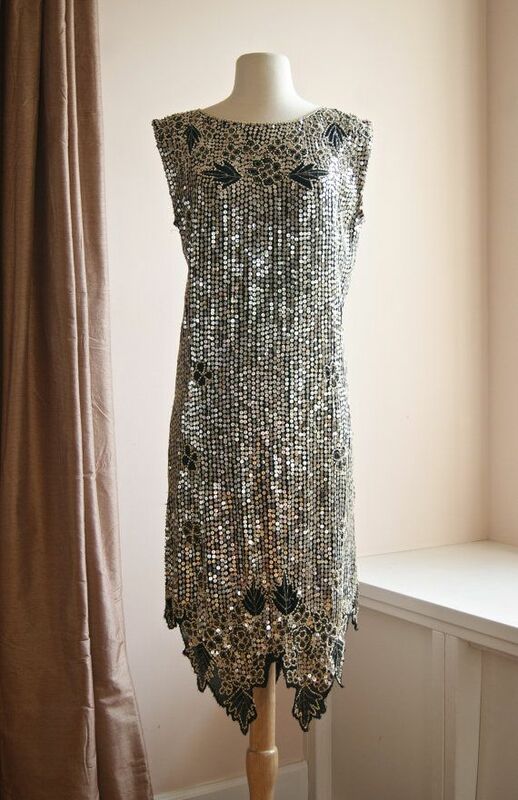 The 1920s is most famous for the flapper dress. 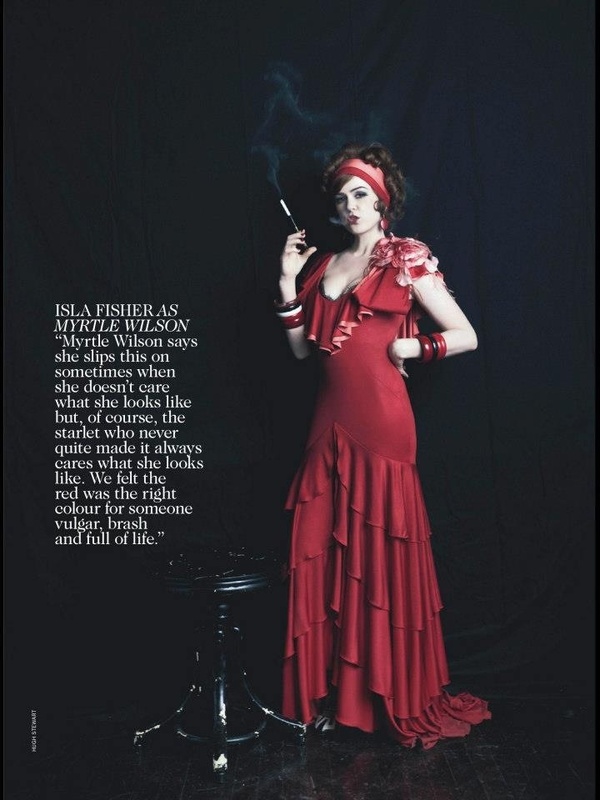 The flapper dress defines the look of the 1920s, the signature drop waist and short skirt came to emulate the good time charleston girl of the era. 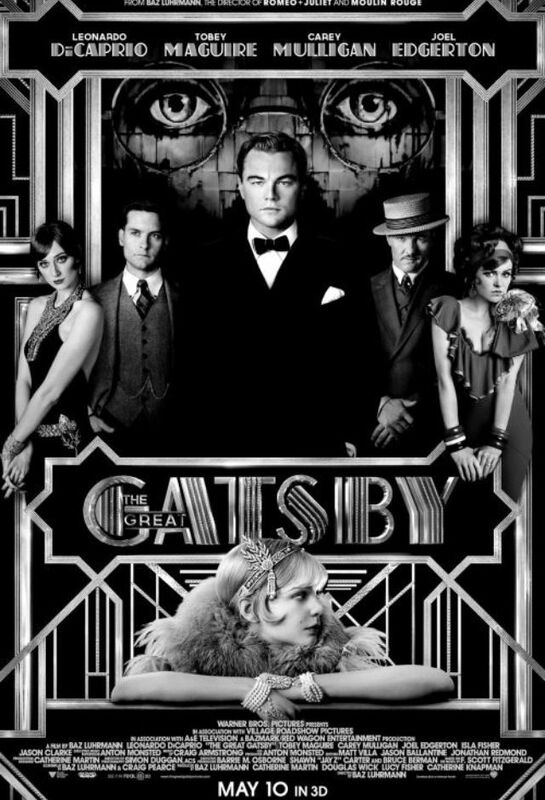 After Looking at tailoring during the 1920s this lead me to research The Great Gatsby..
To start I looked at the trailer and alternate scences as it shows some key points of the story and the costume. The deleted scenes are parts from the novel. I then read the novel and looked at character breakdown and costume plots. Looking at these scenes helped me to understand the story and the costume, these scenes are in the novel but were cut out of the movie. Then I looked at the silent movie trailer from 1926. The difference in costume and how the story is portrayed can be seen just by comparing these. There is also a 1974 version of Gatsby which I watched.